One day of the year says "I Love You" like no other and that's St. Valentine's Day. We at Million Services have helped make this night a wonderful experience for many couples and groups over the years. Enjoy complementary champagne, all of the luxurious ammenities and world-class service while treating yourself and your guest to a truly magical night or weekend. 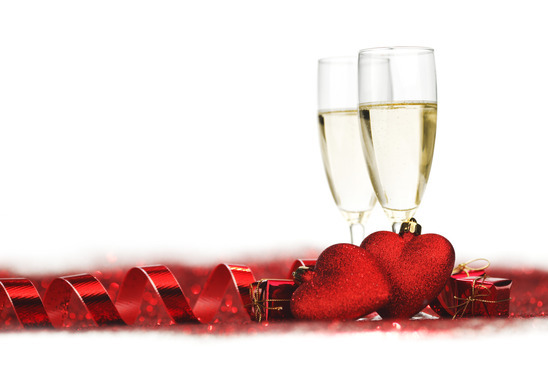 Contact us today to plan your special Valentine's Day excursion. We'll work with you to make it truly unforgetable. Call us for information at 1-415-724-3246 or use the quick-contact form to the right! We recently got married and essentially had a rolling reception in the limo with Reese at the wheel. The day with Reese couldn't have been smoother and the limo was perfect for what we wanted. It was so good we're thinking of doing an anniversary party with Reese next year! Good service after the fact, too. I'd left two borrowed umbrellas in the limo and Reese was extremely helpful in getting them back to me.